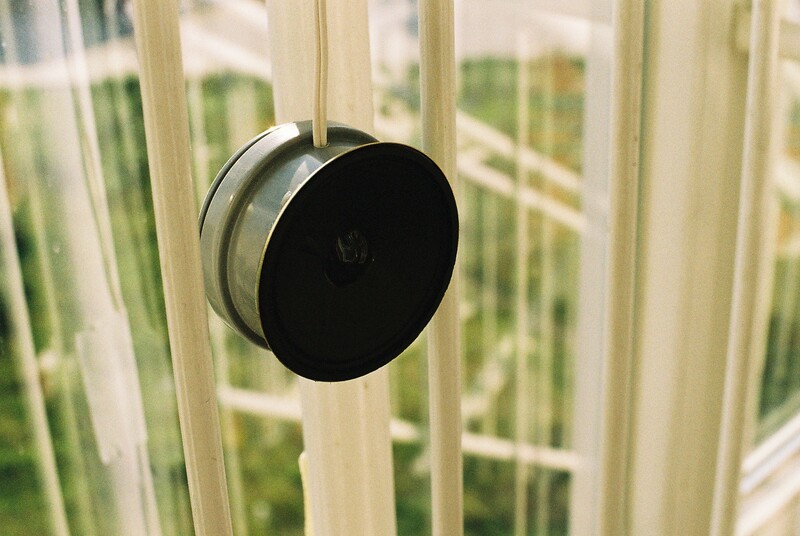 Two site-specific sound works about space and its memory. In cooperation with Anja Kerschkewicz. A staircase is often a room one passes through without really perceiving it. The usual passerby already has his target in mind while making his way through the staircase. We acoustically equip this transitional room with a spatial and temporal memory, to make it easier to perceive its very own atmosphere. 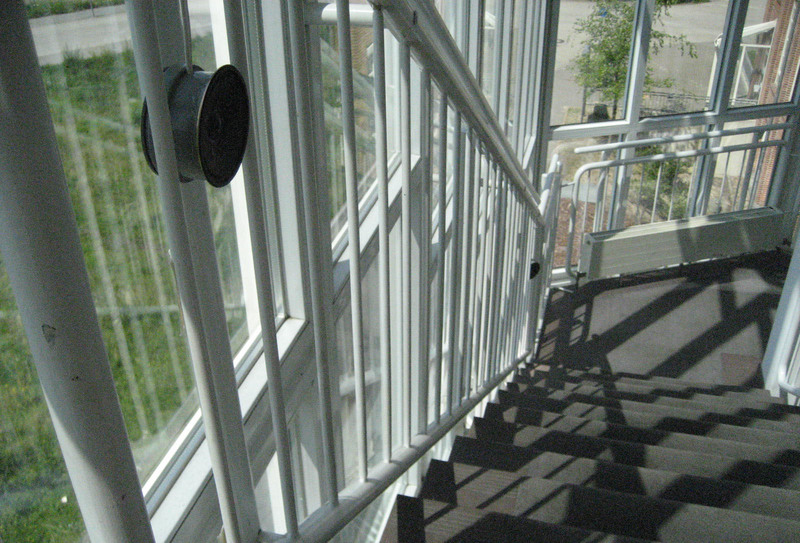 Over the several levels of the staircase, 14 speakers are distributed. 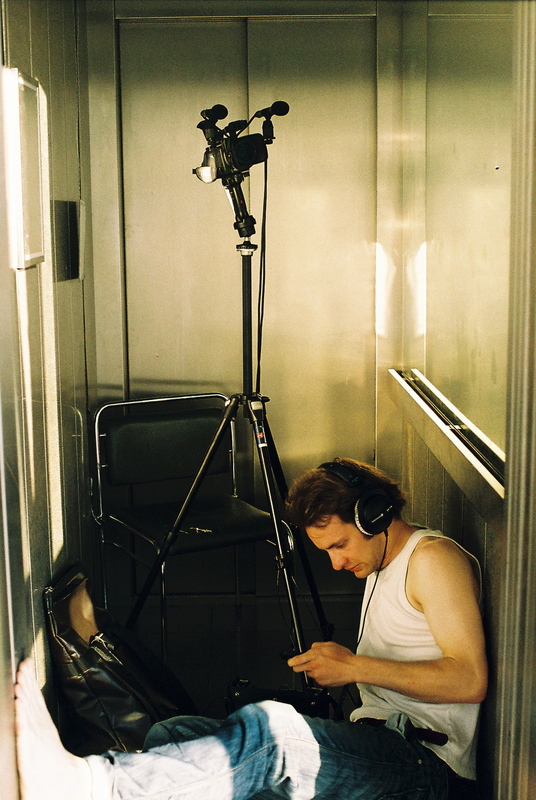 The speakers can be fed with live- or pre-composed material. The acoustic material used for the composition originates all from somewhere or something in the staircase. With the speakers on every level, sounds can move along and jump through the stairs. Voices can be heard from levels the visitors / passersby aren't on at the moment, making them stop and listen, look, or try to eavesdrop on the other voices. Entering the elevator, the visitor faces a chair standing abandoned in the corner. As the doors close, he is left in almost complete darkness. The elevator begins to travel to its destination, and the visitor maybe accepts the unusual offer and sits down. He looks at the side walls, where mirrors are swinging with the elevators movements, revealing sometimes his own reflection in the dark. From the elevator's ceiling, where speakers are hidden, first metallic and humming sounds begin to appear, adding a strange taste to the elevator's sounds. Voices begin to speak, murmuring self-reflexive thoughts about being on your own, in the dark, loosing your way... While the chair begins to rock slightly beneath him, the visitor finds himself drawn into a mood where the audible situation and his own one begin to intermix.